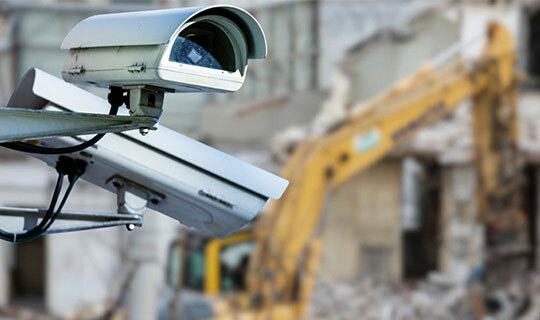 Site Protect is a company solely dedicated to providing the latest in verified video monitoring , Live stream CCTV and response technology with an extensive experience to protect sites in the construction, rural , civil industries as well as both commercial and residential properties. Established in Victoria Site Protect offers systems which are proven to deter from theft , vandalism and property damage and provide you with the peace of mind that your site is protected. Founded on great customer service, professionalism and innovation, Site Protect is the security provider to look for when it comes to all your security needs. Our promise to continually provide you with the most affordable, reliable and continually improved security service is our number one priority. The services we can provide you with include the following: An initial consult is scheduled to determine strategic placement of the camera systems to ensure complete security of your site. Our completely wireless and self powered systems can be installed in any location preferred and runs on the most reliable 4G network which allows for service even in the most newly established areas. One of the most advanced ways to protect and manage any remote location without the need for power and internet . The vast range of this system is one to none when it comes to its Full HD camera with clear day and night view . Completely wireless and self- powered this system is the foundation to back to base monitoring when it comes to protecting your site and deterring criminals . On Entering the Intruder activates the camera which in turn sends a video verification to our Grade A1 monitored Control room and you are notified by our professional operators. For any of your business or home security solutions , Site Protect can provide you with the latest technology designed for your needs . From both a monitored back to base system or a self monitored solution we will devise an affordable solution to meet all your security needs.